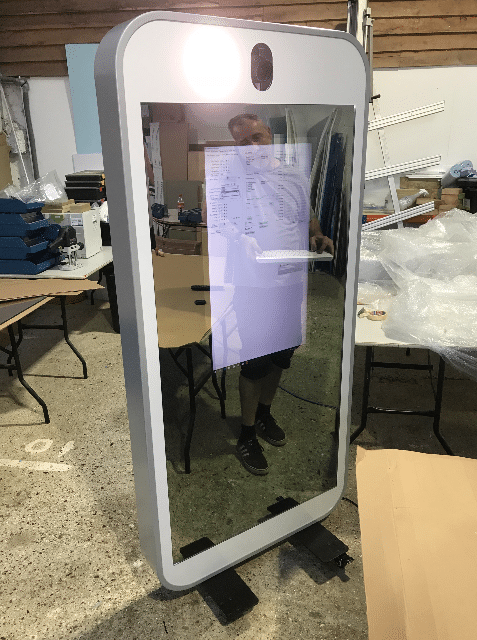 After helping to refresh and rebrand the graphics on several refurbished arcade machines, Corporate Amusement Services asked for our help in producing a new photo booth machine. Approaching this project took the idea of using a lot of basic sign making tools, techniques and materials and applying them to engineering. Having already provided PVC foam boards to be used as a shell for a large walk-in photo booth we knew the materials we use every day could easily be used for this type of work but there were a lot of variations on how they were applied. The first major step for us was producing a technical drawing. We were given a frame, fitted with the camera, screen and computer to work from. Taking measurements and using CAD (computer aided design) software we then created a template detailing how the shell of the unit should fit, this included cut away areas for elements like the screen. 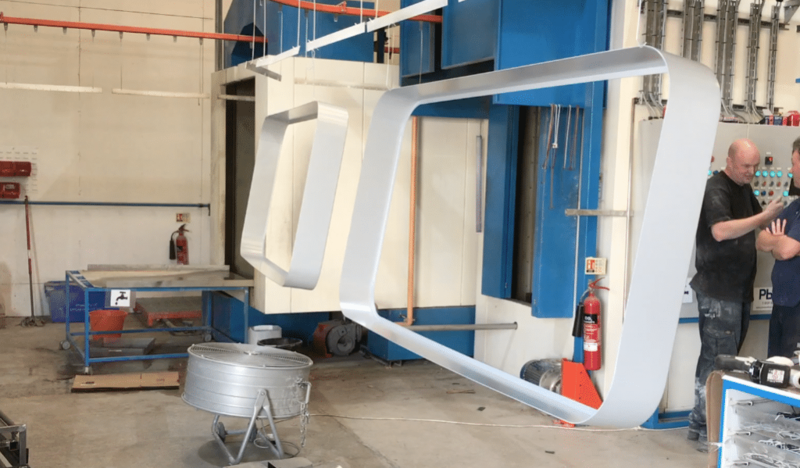 Cutting a sheet of Aluminium Composite into the very intricate design would take days by hand, but thanks to the use of a CNC router it can be done relatively easily. The technical drawing is converted into an outline file that provides paths for the cutting head of a CNC router to follow. To give extra impact to the finished article, areas of coloured opal Acrylic were used to allow lights to shine through. These also went through a CNC router so we could put the Superbooth logo over the lit opal to make the brand really stand out. 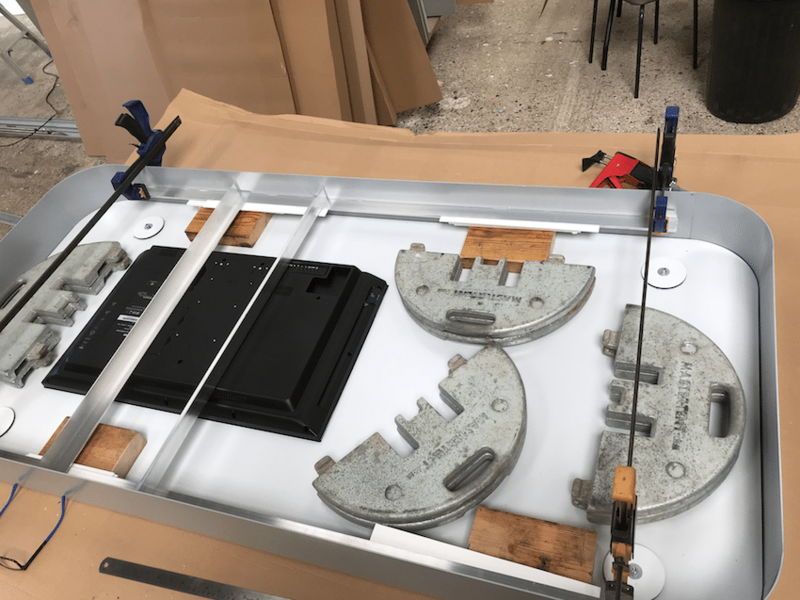 Turning a flat sheet of cut material into a professional looking 3D unit could have been tricky, but the choice of Aluminium Composite allowed a smart solution. 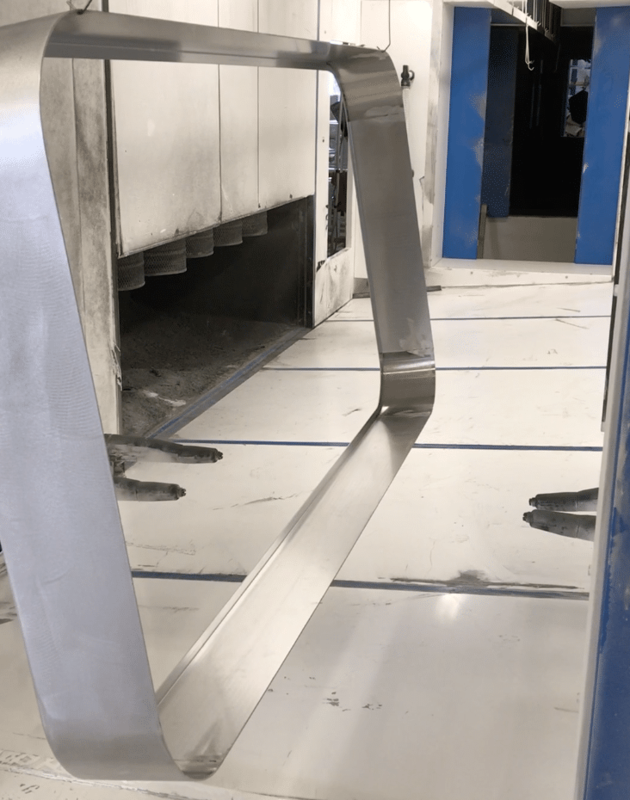 By cutting a channel out of the rear of a sheet of the composite we can easily fold it. Using this technique in several places allowed for a single sheet to have corners that would normally require a very expensive, moulded plastic casing. 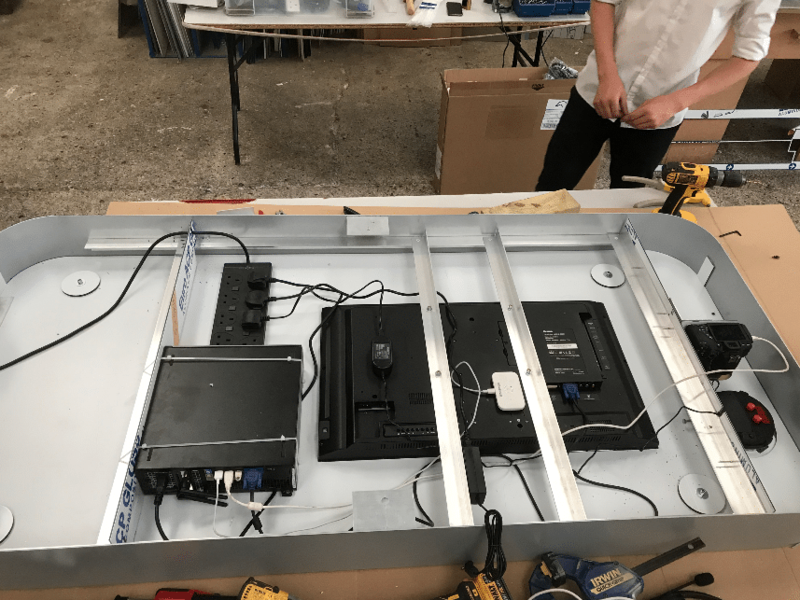 Using a combination of sign making techniques in slightly unorthodox ways allowed us to create a unit that would look quite at home next to any piece of mass manufactured technology without a high set up cost. This method of manufacture is great for small manufacturing runs.